Chris Bastian grew up working on his grandparents’ ranches in southeastern Wyoming every summer and thought he’d spend his life as a rancher. Instead he pursued an academic career helping farmers and ranchers. 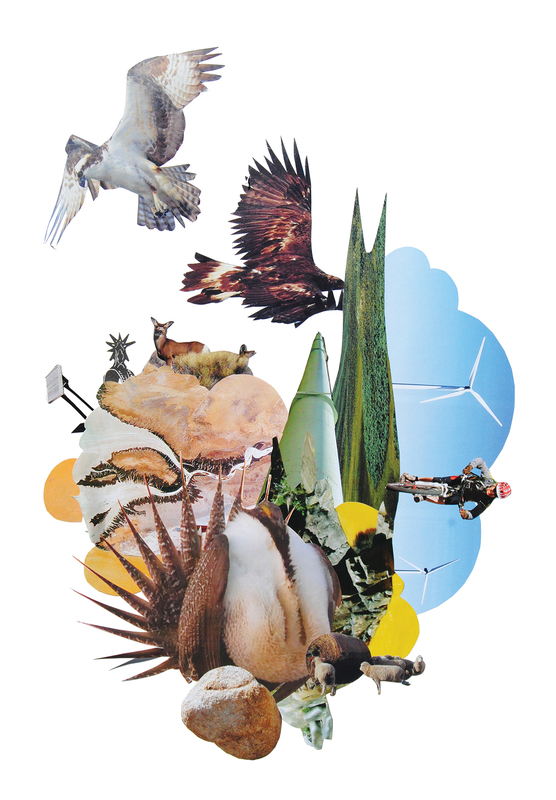 As Bastian was wrapping up his PhD at Colorado State University in 2004, conservation easements were on his mind. He’d been hearing from rural Wyoming farmers and ranchers about their fears of losing open space and working ranchlands to development. He realized that most economic studies of conservation easements had examined the public’s preferences. But Bastian was interested in the preferences of agricultural landowners, the people who actually supply easements. What motivated landowners to place easements on their land? What trade-offs did they face? 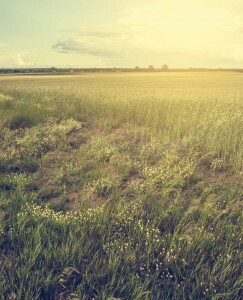 What factors made a landowner more or less likely to place an easement on their land? He designed a research project to look at conservation easements as a market with landowners as the suppliers. “I would argue nobody else had really published anything, or thought about conservation easements in this way,” he said. He graduated from CSU and went to the University of Wyoming as an assistant professor in the Agricultural and Applied Economics Department. There, he teamed up with Don McLeod, another agricultural economist who studies open space in Wyoming. In 2005, they, along with two collaborators from CSU, received a competitive grant from the US Department of Agriculture National Research Initiative to study the conservation easement market. The team conducted focus groups with Wyoming and Colorado landowners, and using that information they designed a survey for farmers and ranchers in the region. Working with the Wyoming and Colorado Agricultural Statistics Services, they sent out nearly 5,000 surveys to people who owned at least 50 acres and took in at least $1,000 from agricultural sales yearly. By the end of 2007, they had collected over 2,200 responses, enough from which to draw sound conclusions. Over the following years, several of Bastian’s graduate students analyzed the survey data. In the fall of 2014, I started a dual master’s degree in the Department of Agricultural and Applied Economics and the Haub School of Environment and Natural Resources at UW. I gravitated towards Bastian and his work, and found he needed one last analysis of the survey data. He’d already published papers about the survey design and some preliminary findings. My job would be to investigate landowners’ preferences for conservation easements by identifying and attributing value to the factors that influence their decisions. We hoped our findings would help land trusts better partner and communicate with landowners. 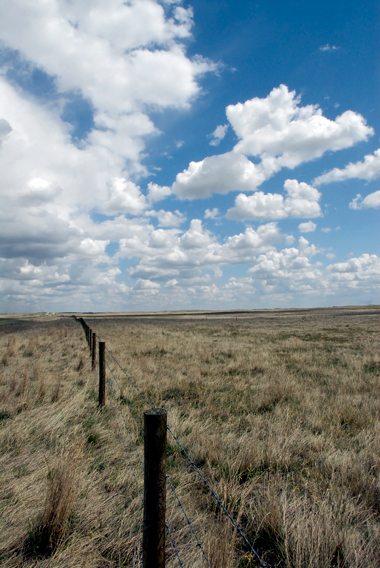 The Wyoming and Colorado Landowner Survey asked landowners about their knowledge of conservation easements and land trusts, their attachment to their land and community, and how they saw their land fitting into the ecosystem. It also asked landowners to estimate the per acre value of their land, and gathered demographic information such as age, education, state of residence, gender, agricultural sales, and off-farm employment. Of particular interest to me was a part of the survey known as a “stated choice experiment.” It asked survey respondents to select from two conservation easement options with different stipulations. If they didn’t like either one, they could choose “no conservation easement.” The surveys showed different options for five factors: length of time of the easement, public access, wildlife habitat protection, land trust oversight, and payment the landowner would receive for putting the easement in place (as a percentage of the estimated land value). There were several different conservation easement scenarios, and each survey respondent saw two. Our aim was to understand how landowners chose easements, so we could figure out which aspects they preferred and which they cared less about. Furthermore, we wanted to compare the stated choice responses with the landowners’ estimates of their land value to put a price on what economists call “utility value.” That is, we wanted to measure, in dollars, the satisfaction that a landowner gets from the various attributes of a conservation easement. This would allow us to measure the economic importance of some aspects of conservation easements. Fall of 2015 found me staring at the rows and columns of an Excel spreadsheet, transforming the 12,000 lines of data into usable variables, and then, with specialized statistical software, identifying the variables that best explained landowners’ easement choices. After more coffee-fueled late nights than I’d like to admit, a story began to emerge. Part of what we learned simply confirmed what may seem obvious, itself an important result. For example, we learned that landowners who knew about conservation easements were more likely to choose one than those who were unfamiliar with easements. We found that paying landowners more for a conservation easement made them more likely to accept the easement. To that extent, the agricultural landowners abided by basic economic principles. We also learned that whether the easement would protect wildlife habitat, and whether land trust approval was needed for alternative production practices didn’t matter as much to landowners. On the other hand, we found that landowners strongly preferred permanent conservation easements with no public access over temporary easements or those that allowed public access. Next we used the landowners’ land value estimates to put an average dollar value on the overall satisfaction gained by placing an easement, as well as on the easement attributes that landowners found important: duration and public access. We found that, on average, landowners in our survey gained between $4,600 and $105,000 worth of satisfaction by placing a conservation easement on their land. Furthermore, our analysis showed landowners would require an average of $32,300 more, within a range of $7,900 to $56,700, to place an easement that included public access on their land compared to one without. On the other hand, a landowner would only require an average of $16,500 (ranging from $2,400 to $30,600) more in compensation to place a term easement instead of one in perpetuity. We also found that landowners’ sense of place and community attachment strongly affected how much they valued a conservation easement. Based on their survey responses, we placed landowners on a scale of 1 to 80, 1 being the weakest attachment to place and 80 being the strongest. We found that when a person moved one point down the scale, meaning they felt slightly less connected to their land and community, they required an average of $663 more in payment for a conservation easement. We hope our findings highlighting landowners’ sensitivity to different aspects of conservation easements, such as control over access to the land, will help land trusts best appeal to landowners. This becomes especially important due to another surprising finding from the survey: 72 percent of the landowners chose no easement at all, no matter the stipulations. Since we know that landowners gain satisfaction from keeping their land intact into the future, this tells us that other factors influence their decisions. We found that landowners who indicated in the survey that they “know who the land trusts are in my area and how to choose who would fit my needs best,” were less likely to choose an easement. This puzzled us; we had expected people who knew land trusts to be more likely to choose an easement. However, we also found 78 percent of respondents said they did not trust the land trusts. That lack of trust may explain why so few chose an easement. The disconnect between landowners and land trusts may be the most important finding from our research. The idea that most landowners are mistrustful, and would not choose an easement no matter the payment, presents a hurdle for land trusts. Perhaps future research can pinpoint the source of that distrust. “Overall, we hope this knowledge will help improve the functioning of this evolving market,” Bastian says. 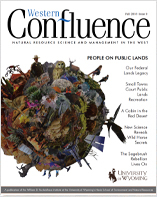 Perhaps these findings can help land trusts better understand landowners so they can build stronger partnerships for conserving open spaces and working agricultural lands. Luke Todd earned his master of science in Agricultural and Applied Economics and Environment and Natural Resources in summer 2016.